Dutch wax print fabrics were the first printed cottons to arrive in African communities and they are still loved today. This fabric with circular designs and is printed a medium brown with a metallic overlay on excellent quality cotton, 46 inches wide, using dyes that will hold up to many washings. 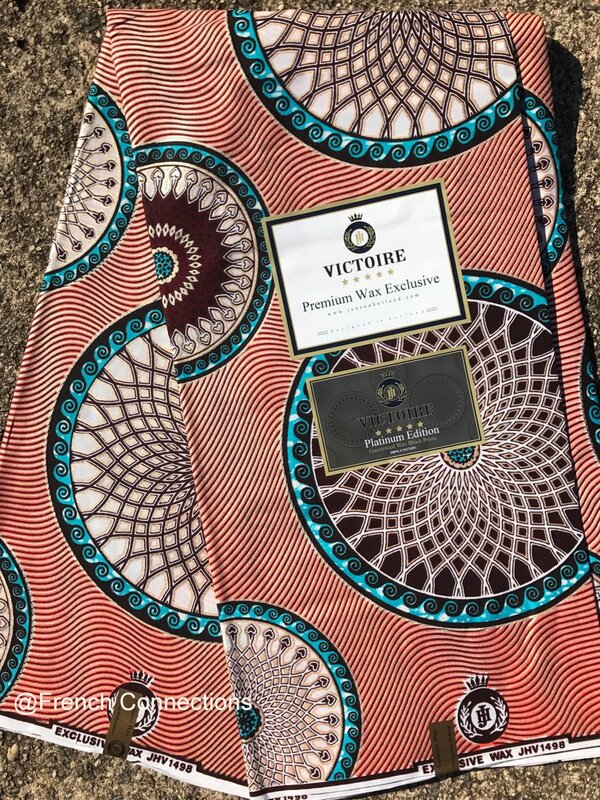 Used for stylish clothing in Africa, this fabric is also wonderful for machine quilting and crafts. Manufactured by Julius Holland fabrics from The Netherlands. Care: Machine or hand wash cold or warm with colored clothes. Do not bleach. Do not dry clean. Need more than the quantity listed? We sell online and in a store and keep most inventory separate. Ask us and we will let you know.